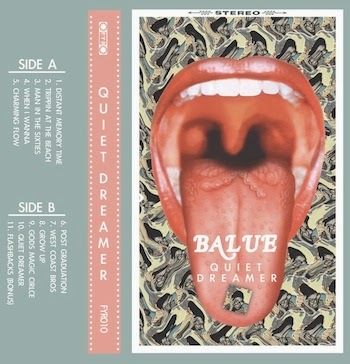 Balue is a one-man-bedroom-pop-machine from New Mexico, and this is the new single Grow Up. This is the second single to come from the upcoming Quiet Dreamer album, and it is pretty good. Grow Up is a sleepy listen with sunny guitars and melodies that ease their way through their life. It’s a super chilled experience that grazes nicely along the ears and gives the eardrums a big old hug. It’s got bird song involved too, how can you not like this song? The vocals and lyrics sound like something MGMT could have produced for their debut, and…yeah. It’s just a really nice song. Stream and download Grow Up below, and look out for Quiet Dreamer on June 24thvia Fleeting Youth Records. For more music reviews, free downloads and I don’t wanna grow up. Check out Exploding Head Syndrome on Facebook and Twitter.